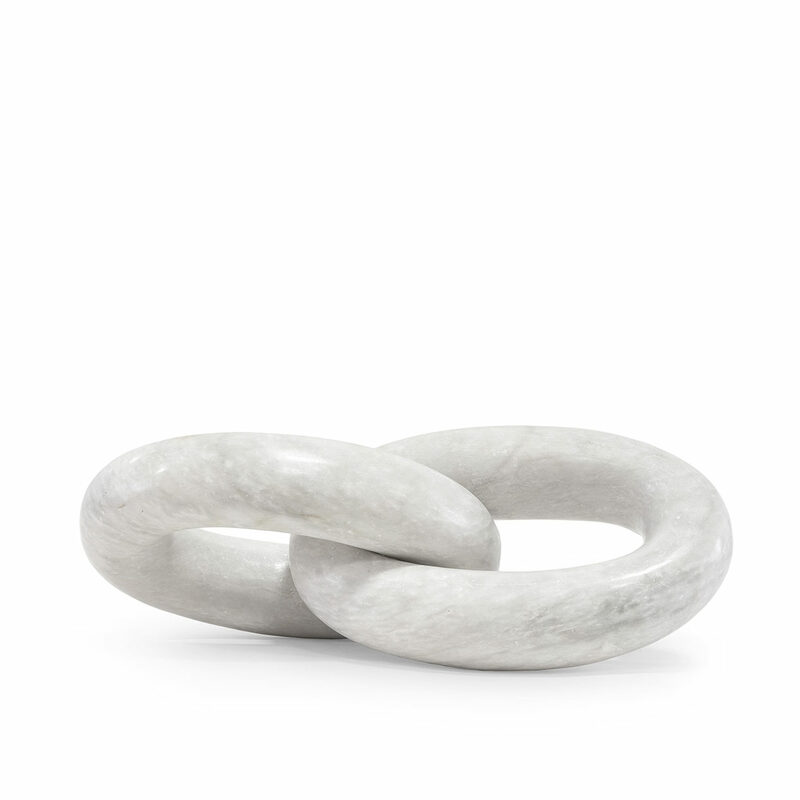 Solid marble hand-tooled and formed into chain links. Each link is unique and will slightly vary from white to smoke color variations. No two pieces will be alike. Suitable for outdoor use.